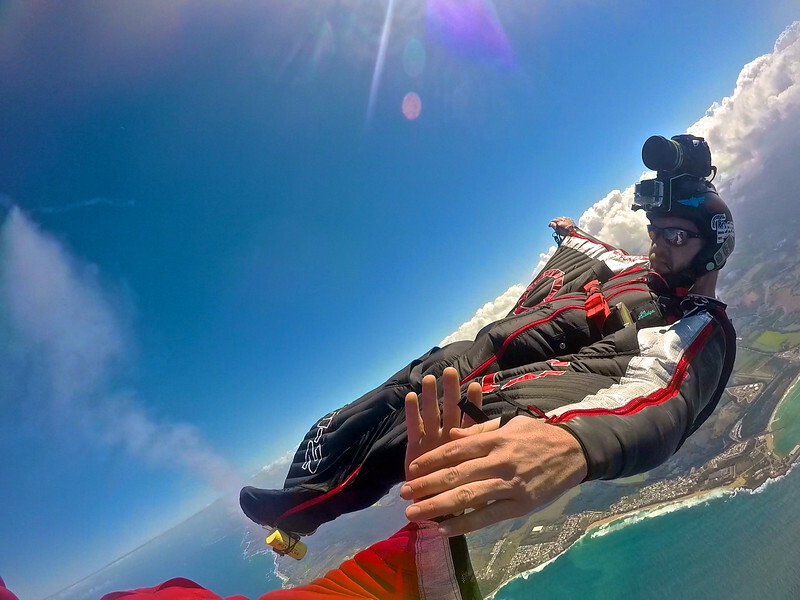 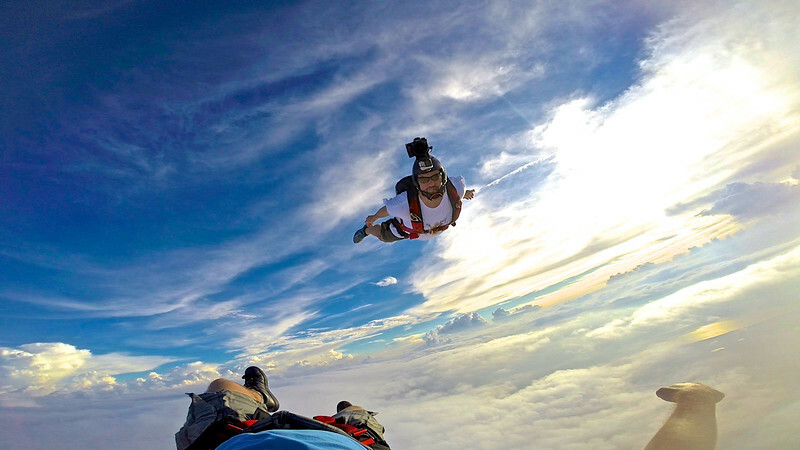 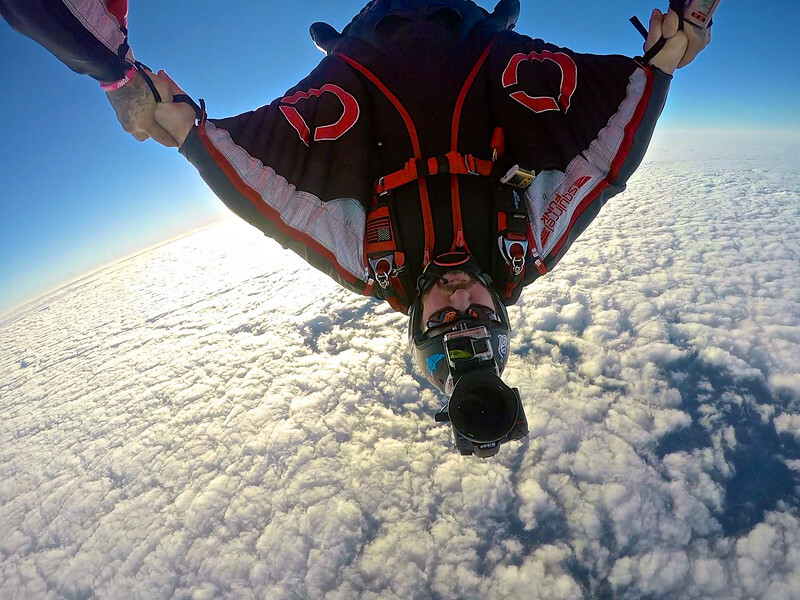 Curt Vogelsang flying his Custom Squirrel Funk with Alti-2 logos above the clouds picture by Avalon Wolf. 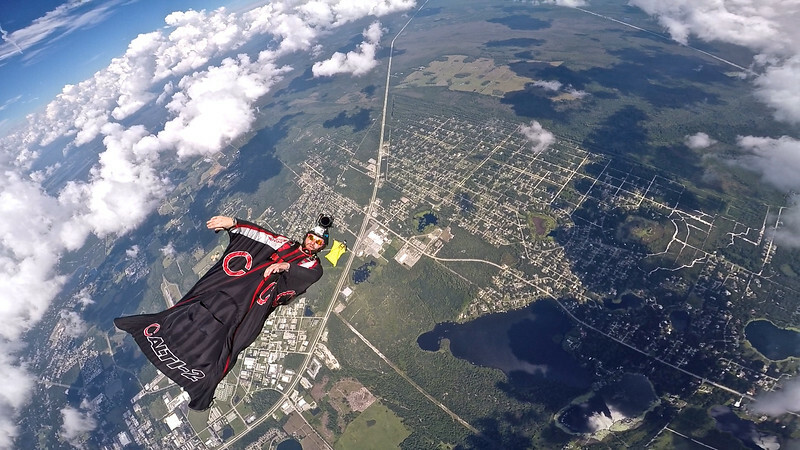 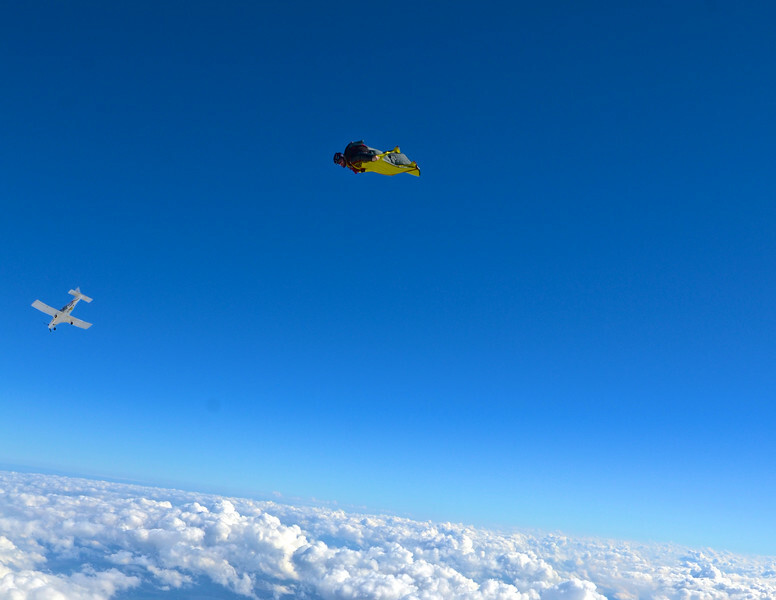 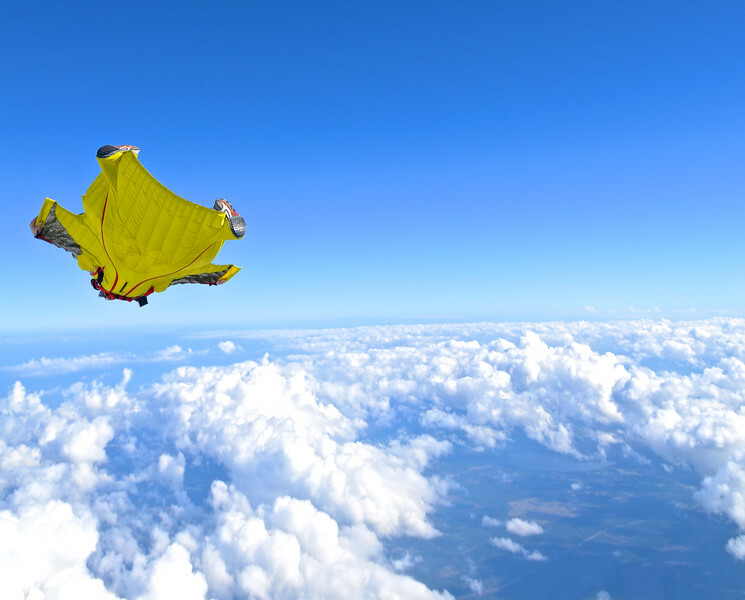 Flying the Squirrel FREAK wingsuit over a bunch of puffy clouds. 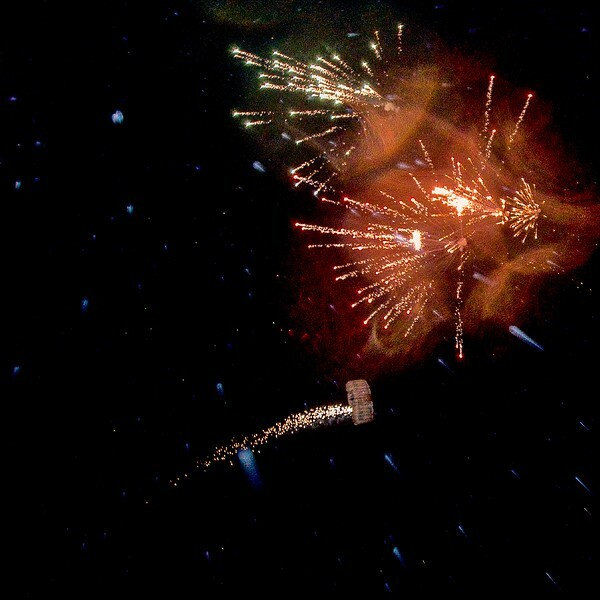 Picture by Avalon Wolf. 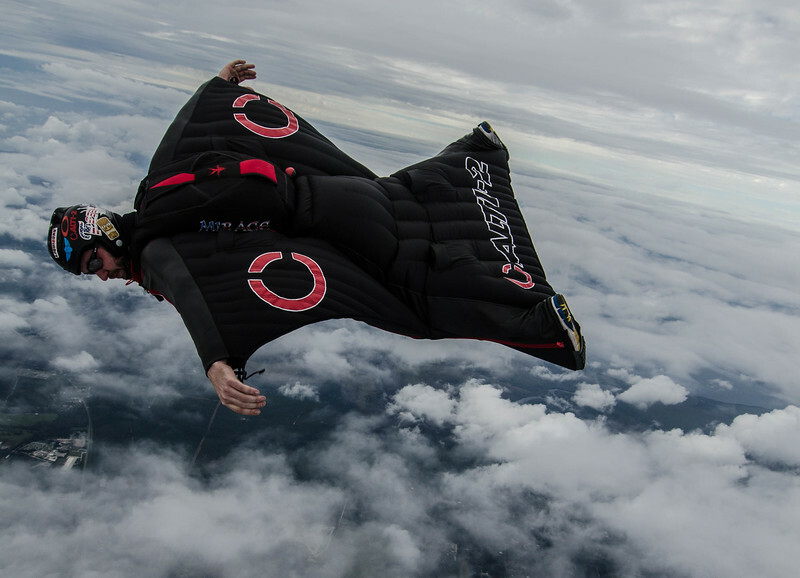 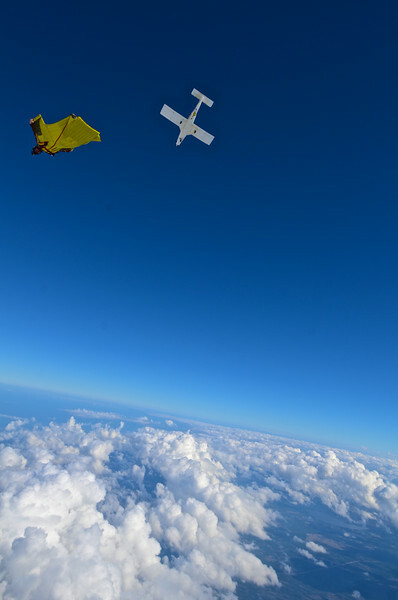 Curt Vogelsang leads a fast wingsuit flight over the clouds while Avalon Wolf follows and captures their flight. 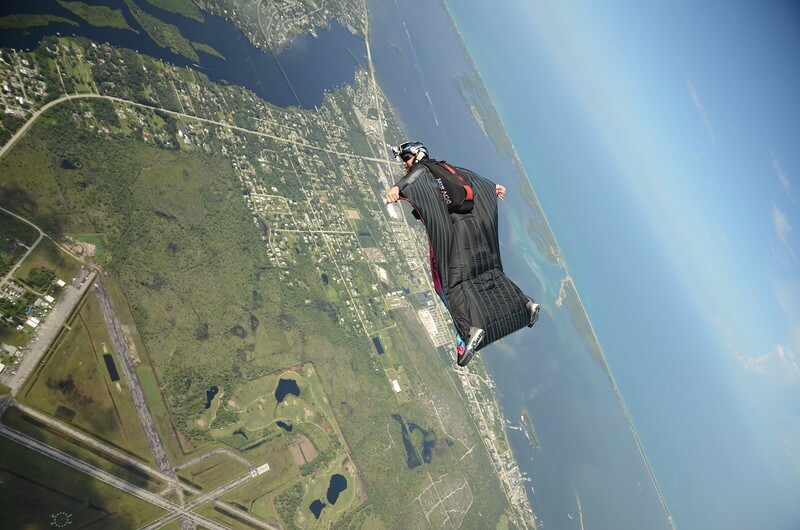 Picture by Avalon Wolf. 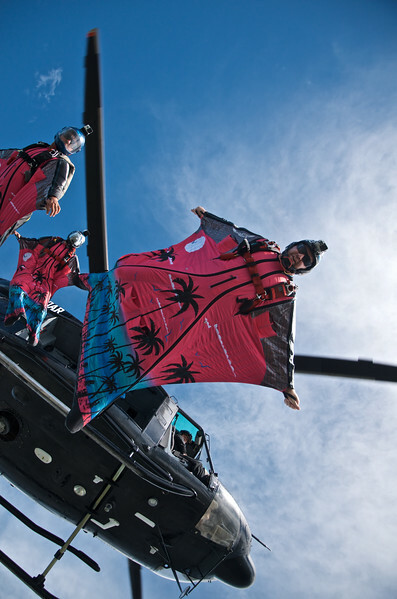 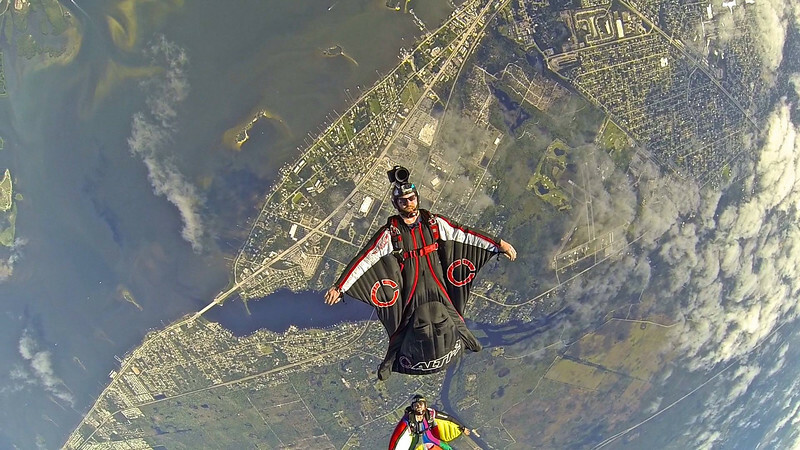 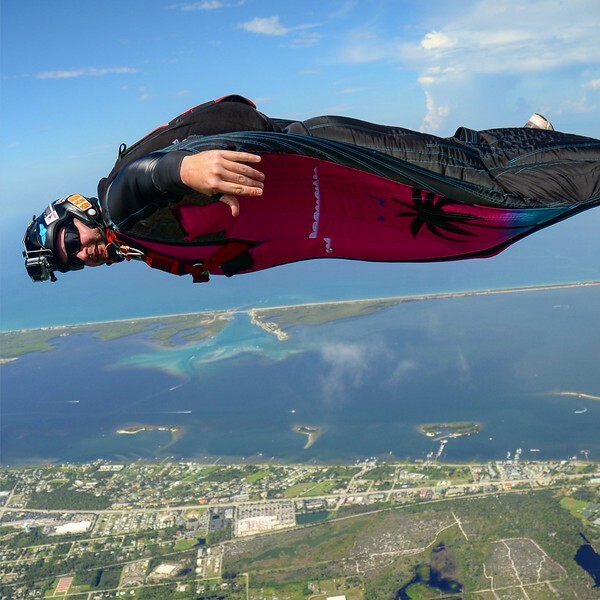 back flying and filming the group above me as we fly our wingsuits out over the inlet and ocean and then back to the landing area at Skydive Sebastian in FL. 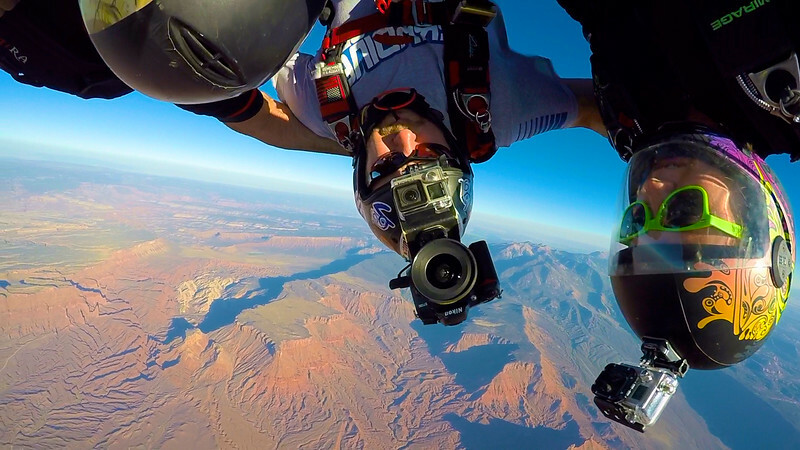 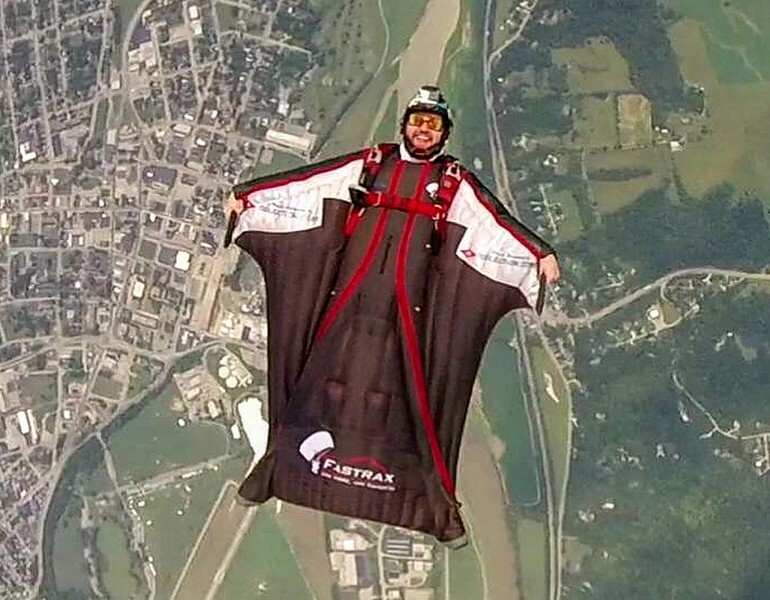 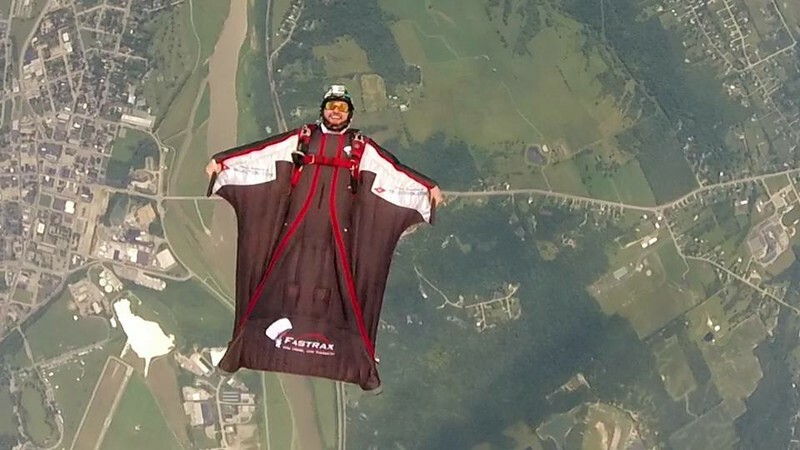 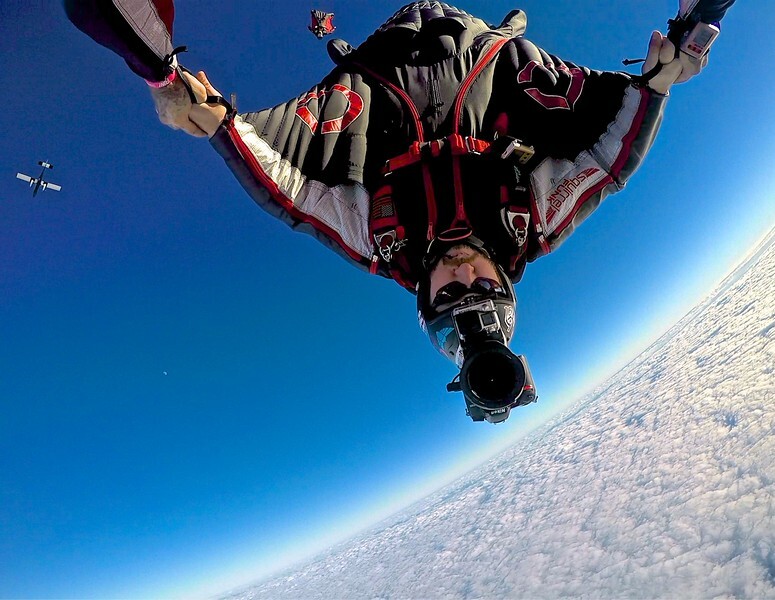 Curt Vogelsang pictured in Black wingsuit with Alti-2 logo, flying with multiple cameras on his head filming a group of wingsuiters over Sebastian. 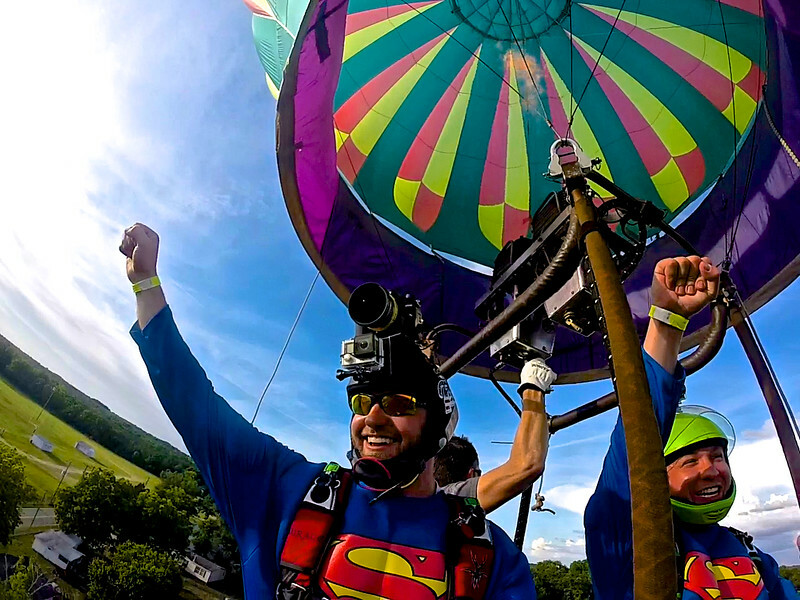 Curt Vogelsang and Michael celebrate Curt's 500th Jump by jumping out of a hot air ballon both dressed as Superman during Skydive Carolina's Carolina Fest in Chester, SC. 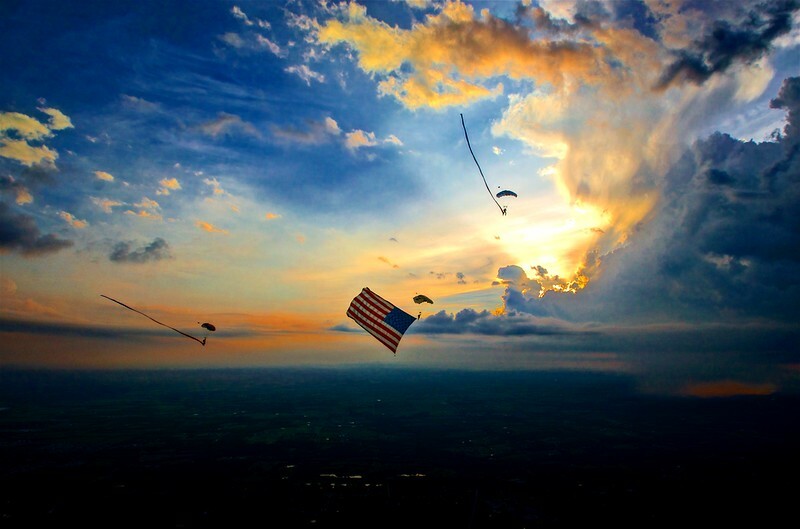 Picture by Curt Vogelsang. 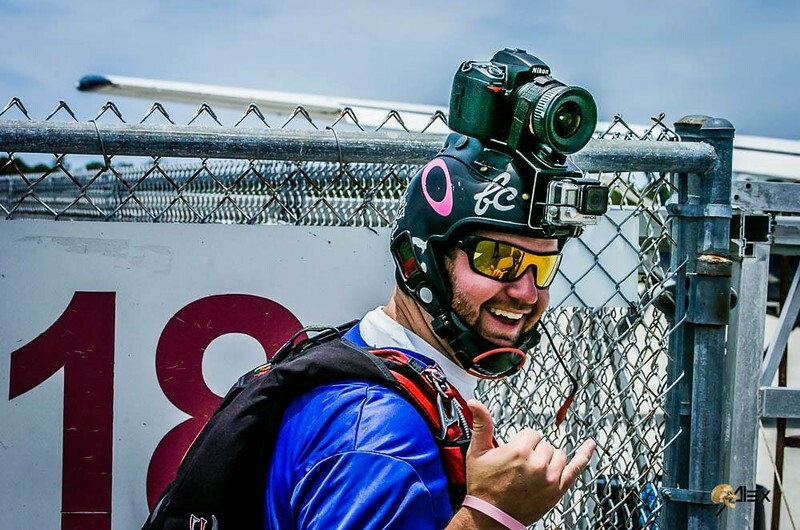 Curt Vogelsang pictured in white captures pictures and video of Matthew Kenneth tracking on his back. 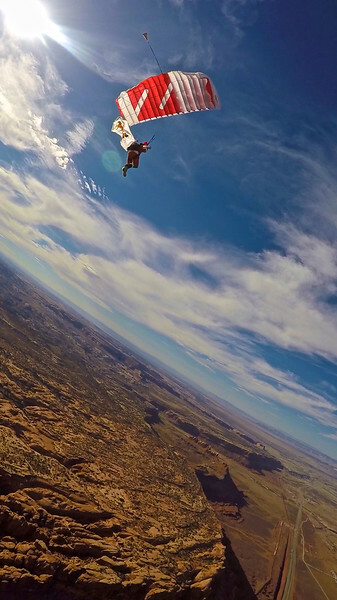 Curt Vogelsang dressed as Satan Claus and flying a Merry Christmas flag flies his white Zulu with Red Z canopy over the canyons of MOAB, UT. 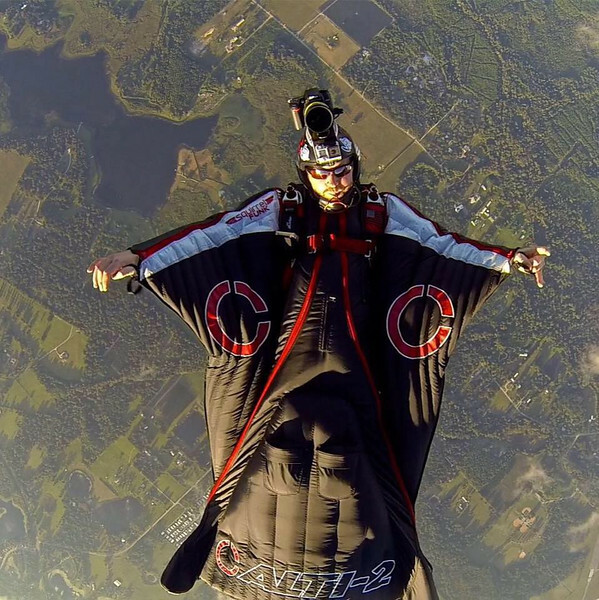 Curt Vogelsang filming Tandem's at Skydive Carolina. 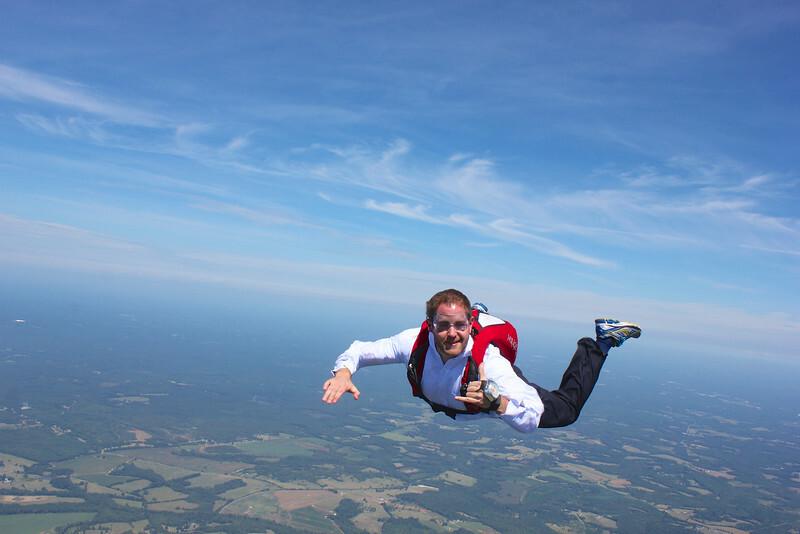 Did some stunt work at Skydive Carolina where we filmed a mini commercial for Paycor and explained optimized solutions and creativity in the cloud then jumped out of an airplane and finished the film and photo shoot with in air action. 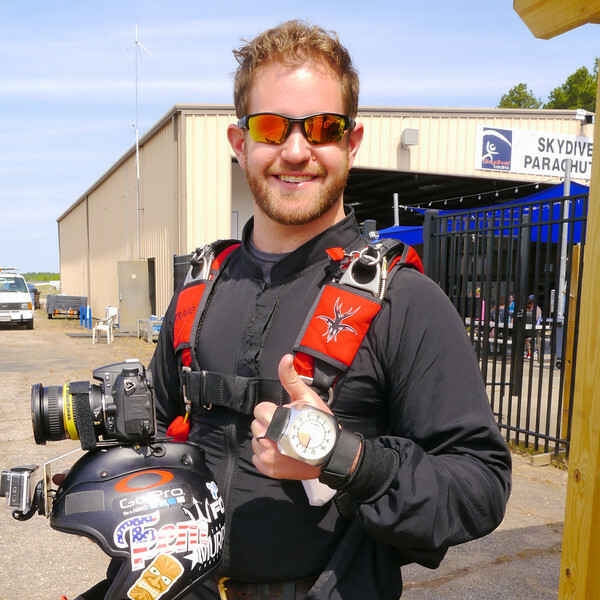 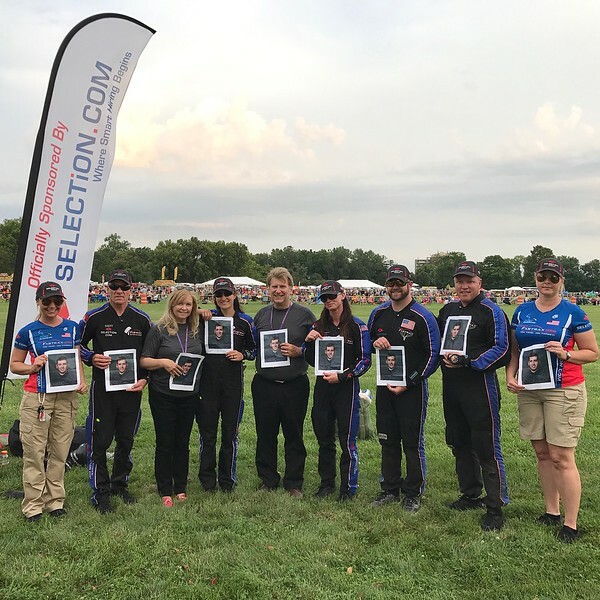 Curt Vogelsang landing the U.S. 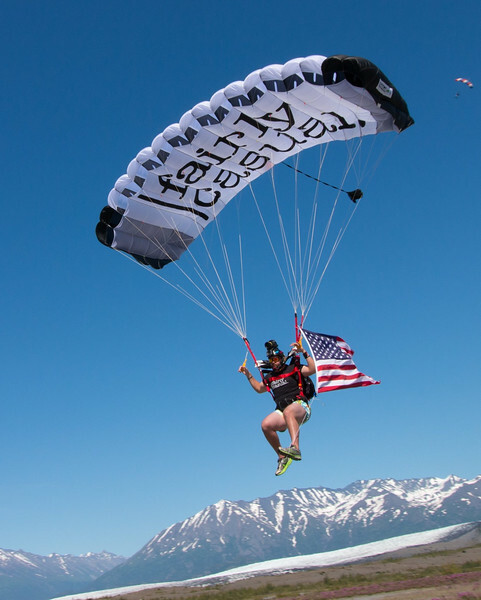 Flag during the offsite jump onto the Glacier in Alaska. 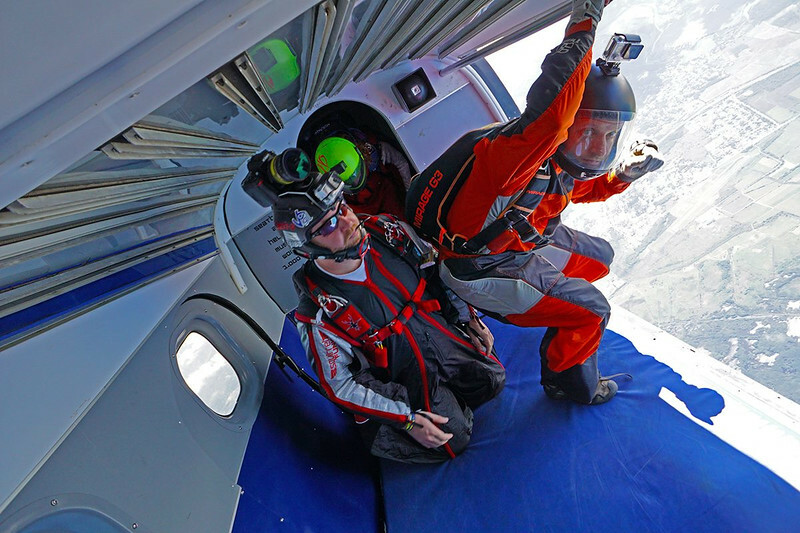 Picture was taken by Tom Sanders of Aerial Focus during the 2016 Summer Solstice Boogie at Alaska Skydive Center in Palmer, Alaska. 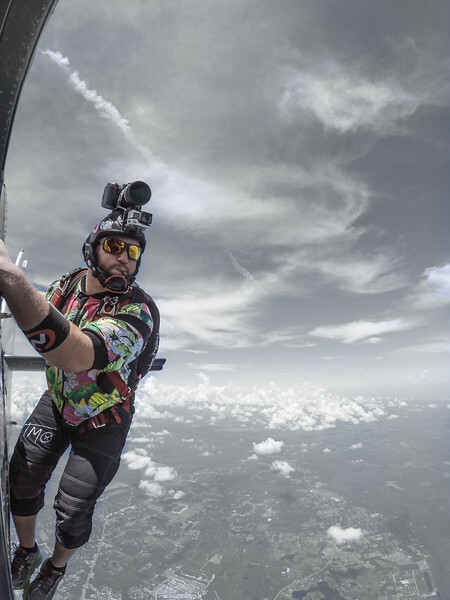 Curt Vogelsang hangs off the side of the Twin Otter before tracking with Collin, Brian and Brenton at Skydive Deland. 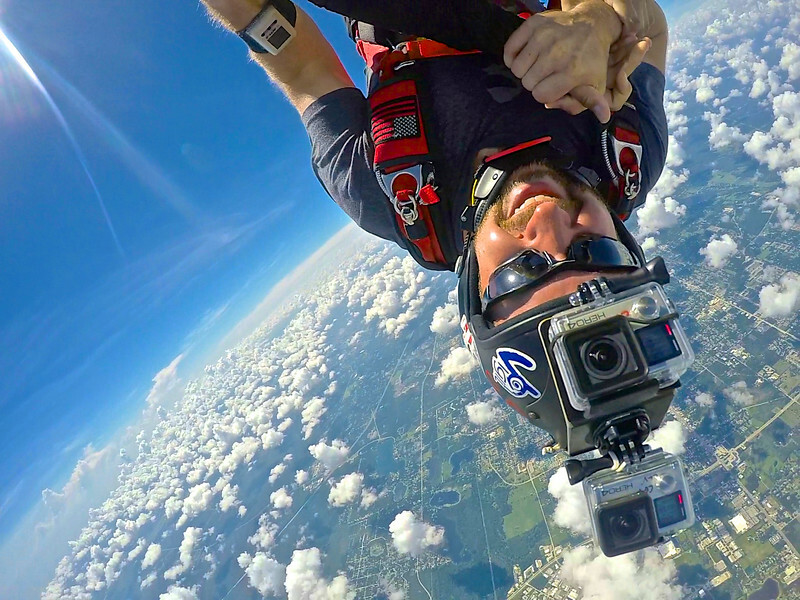 Picture by Collin Harrington, GoPro Athlete. 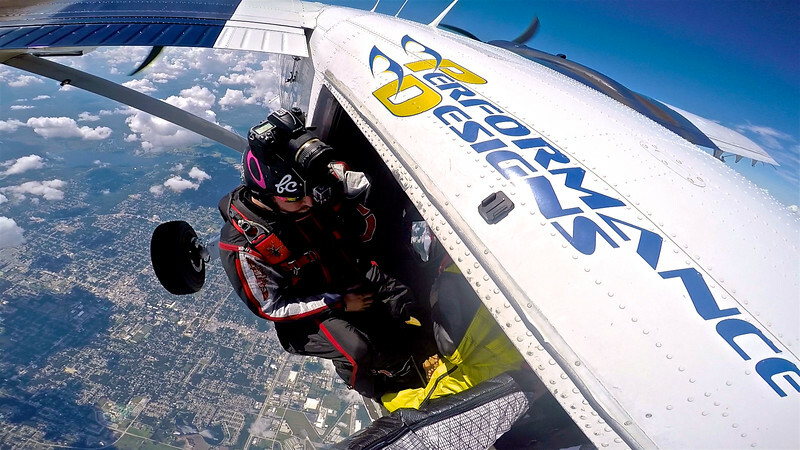 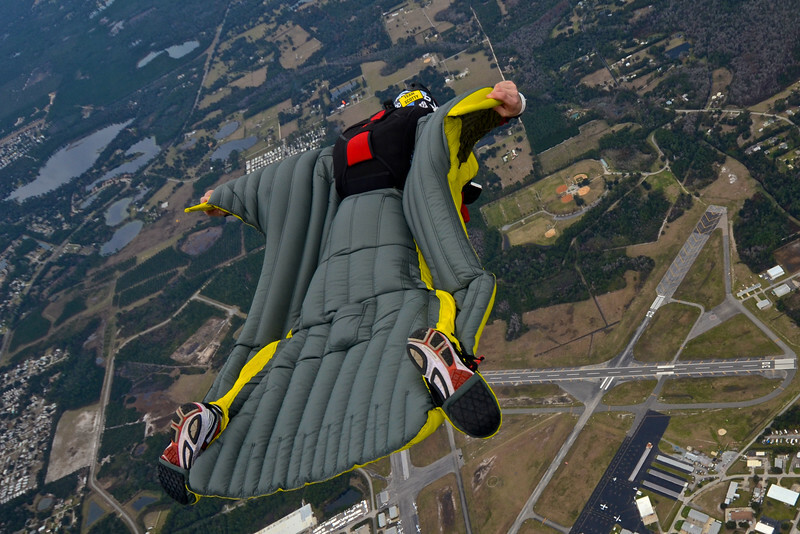 Curt Vogelsang is about to launch from inside the door and film 4 other wingsuiters at Skydive Deland. 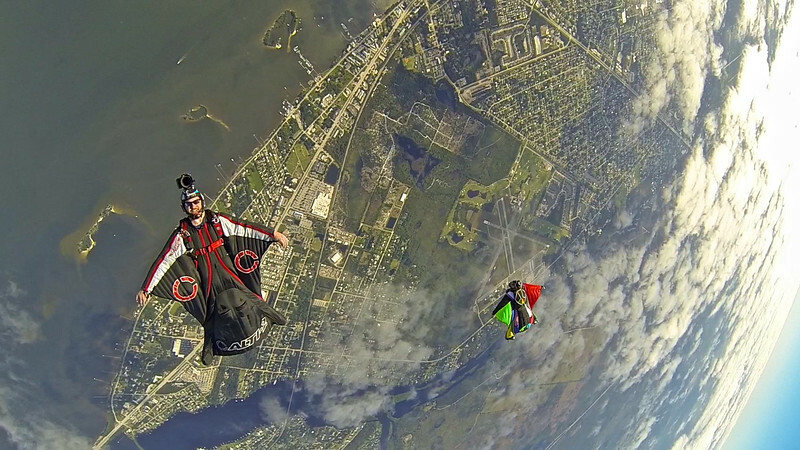 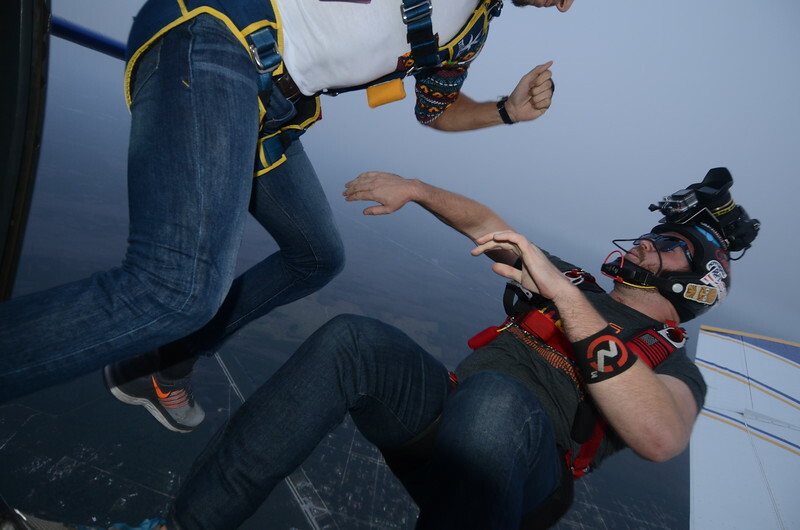 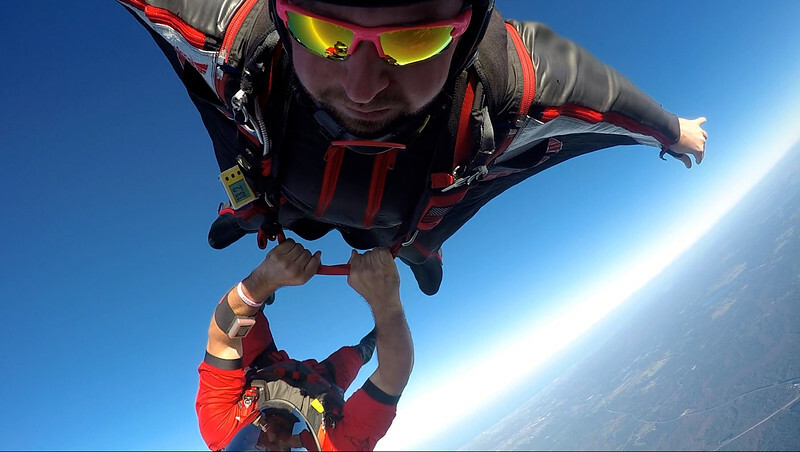 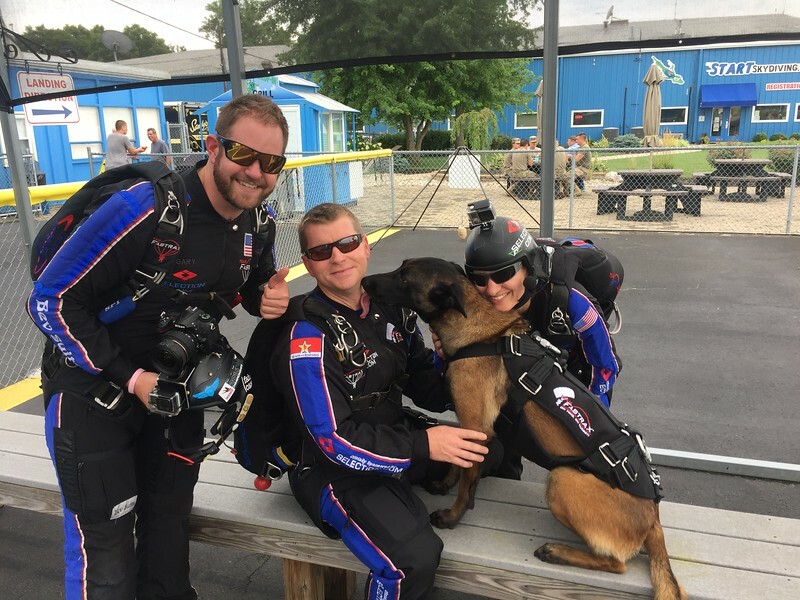 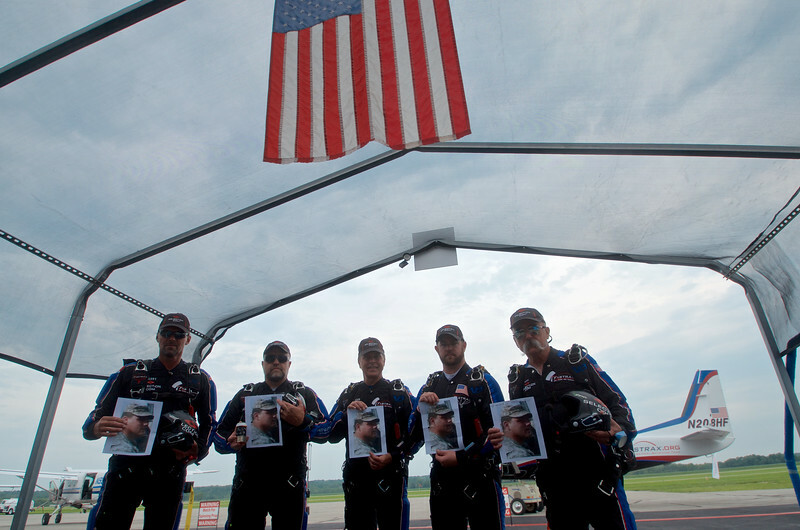 Matt hangs on for his 400th Skydive while Curt Vogelsang Wingsuits and Lane follows closely behind. 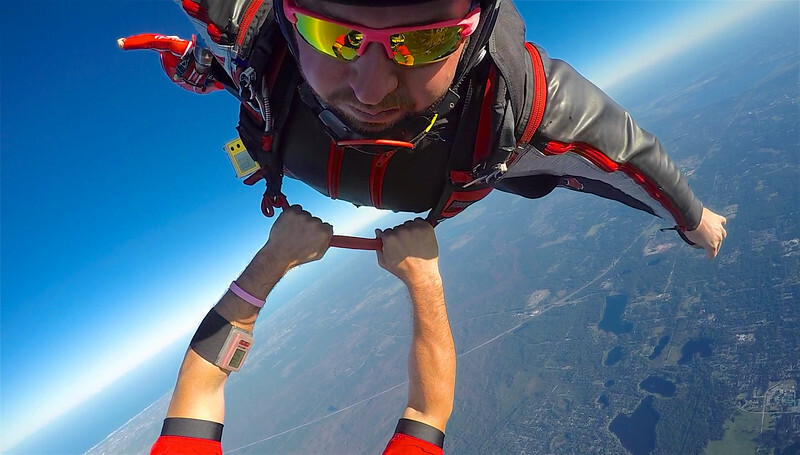 Picture was taken with a GoPro and a GoPole mount facing back towards me.